Now you can pump anti-freeze throughout your system. Install brass valve one time. Draws anti-freeze directly from bottle. 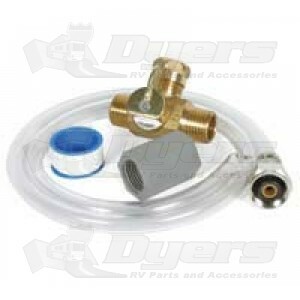 Brass valve, siphon hose, Teflon tape and pump adapters.